1. 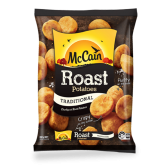 Cook McCain Roasts as per instructions. 2. 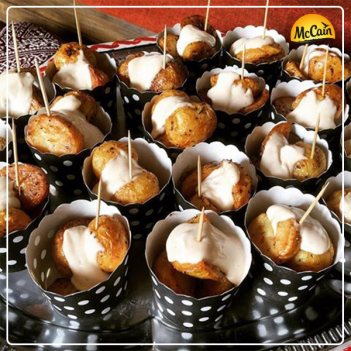 Separate into party boxes, drizzle with your favourite aioli. 1 Cook McCain Roasts as per instructions. 2 Separate into party boxes, drizzle with your favourite aioli. 3 Add salt and pepper to taste.